I am using a variation of the Affidavit to stop the corrupt CSA/CMEC in their tracks. I have another hearing(as the Magistrate did not understand! )as this time they are wheeling out a District Judge however hopefully I will prevail. Without coming across yours and the Dead Beat Dad’s sites I would have been a lamb to the slaughter. I am and have always been a law abiding citizen yet this corrupt government sees me as a soft touch as I am easily accessible and always pay! It took me a while but I have woken up to their nonsence and have started to fight back. Thanks David – another good article and good documents again. As mentioned there is more than one way to skin a cat and there is good evidence to suggest that another low-maintence process is “Refused for cause” (R4C). More information can be found on the Think Free Forum by searching for this phrase, but i’ll sumarise the process. It’s similar to the “No contract, return to sender” process. 3. Return the original PCN to the contact address on it via recorded delivery. You just send back the PCN, no other correspondence. They may back down at this stage. If they don’t and you do receive a “Notice to Owner” or further correspondence, repeat the process writing front and back on the new correspondece received. Take a copy for yourself. Send the original via recorded delivery within 72hrs. Repeat for each further corresponce recieved. Evidence suggests they will back down immediately or after 2 or 3 attempts to contract with you IF you follow the steps. thanks for your valuable input, it is always appreciated. Regards my friend, Matt. PCN is a traffic ticket right?? Would this work for a Utility bill ie: Hydro Bill/Phone Bill Etc. (Account Summary, Statement etc.)? Or is there another process for this? PCN is a Penalty Charge Notice. 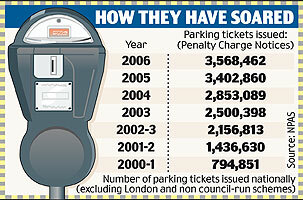 Usually dished out as a what we used to call a “parking ticket”. I would suggest that R4C wouldn’t be effective for anything that you have already “contracted” for – IE if you have already made payments to a particular company and/or received goods or services from a company. R4C, as with “No Contract, return to sender”, I imagine, works best when a public entity writes to your strawman asking for payment but there is no prior expressed or implied contract. It has roots in the UCC, and many are unsure as to whether the UCC has relevant in this “country” but evidence suggests that R4C does work over here. I’m not going to comment on what the remedy for a hydro/phone bill would be as I don’t have experience there. I can think of a few things but I’m sure something will surface soon from someone more experienced with that type of thing. Also I heard somewhere that for income tax, they have to declare a state of emergency every year to do this and hence a new contract every year. From my perspective, i agree with you that most have gotten into contract with tax via the national insurance account contract, and subsequent agreements and/or payments. The iceberg has emerged through the surface of the water and, no doubt, it’s hidden depths will be further subject to the light in the coming times! Oh, with regard to John’s way with HMRC, i have to admit, i love what he is doing and I think one has to be in a certain place to do that. Stripping away a lifetime’s conditioning of the fear of what might be. We are all getting there and he has my admiration. It reminds me of the scene in V for Vendetta where Evey, having being tortured non-stop, calmly tells her tormentors that she would rather be shot than give up her truth. Realising that they had no power over her, she was freed. Powerful stuff. If you file a tax return then here is a way that you may like to try that leaves no sum outstanding for you to concern yourself about. On the question that asks for the “Occupation,” please be aware that it is asking this of the STRAWMAN, the legal fiction that has an attributed set of account numbers. So what is the STRAWMAN’S occupation? How about, “Commercial Conduit” or “Transmitting Utility?” So put one of those down. Now how much do you want to gift the STRAWMAN for its role? £500, £1000 or £4000 maybe. None of the figures will leave a balance outstanding and you have been honest as you see it. Job done. Regards, Matt. In your last message re: gifting the STRAWMAN for its role, that would be the “year income”? So we can put anything from $0.00 to $1,000,000 ? Where/what can be done to get the income taxes CPP and all other taxes that were taken off this STRAWMAN income refunded back to us. is that possible? Thanks for the reply Rob. All this stuff is fascinating. V for Vendetta is one of my favourite movies. For me tax is just slavery, but the population have been too conditioned to see it for what it really is. This is one of the problems with answering too many questions my friend; it doesn’t force you to think outside the box that you are firmly stuck in. What is the single “persons” tax allowance in the UK? I think it is about £6475 ish. So the idea is you attribute the STRAWMAN with less than that and so therefore there will be no outstanding amount. So I would say attributing £1,000,000 would be counter-productive wouldn’t you? Regards, Matt. Am I correct in thinking that any tax returns submitted now will have to be completed on line? In previous years I have employed an accountant, but not this year. There appear to be several ways to handle the income tax situation, and I am still considering the best way forward for me, as we all are. It is also easier if you are self-employed. Those on PAYE won’t have as many options, I don’t think. I have read your affidavit toolbox with interest – it all seems very sound and well thought out. I think its a good idea to state our intentions to the CEO (Gordon), since the power of Royal Assent or any interference from Her Maj seems to have no signficance these days – despite her Oaths, etc. In any case, she is in collusion, so better to do both affidavits to be sure? I was just wondering about the ‘Enticement to Slavery’ bit. Can anyone point me to a reference that this is valid in UK? I can only find USA references. Is it Admiralty Law? Is there anything that says ‘E2S’ actually breaches Common Law? I think we have to be wary about taking too much material from stateside – without adapting it to our own Laws/ customs. Any chance you could give me some info of how you have used Affidavits against csa/cmec? I would say that any country with a Central Bank strictly operates according to the UCC. Any country who does not allow the private run for profit Rothschild Central Bank in their country are being bombed or taken over right now. With regards to Financial Penalisation of any corporate kind – They cannot take a penny from you unless you agree to it. You HAVE to admit or consent or agree that their imaginary fine actually exists in the first place, after all it is merely a legal fiction, it has no substance whatsoever until you agree that it does. In the PCN process seems to be aimed towards notices that have been sent to Persons. This is not the case if the Notice is stuck to the windscreen of the car in the form of one of those lovely yellow water tight envelopes. What do I do this this case? Maybe it has alread been mentioned. hello jamie – you wait for a notice to come through your door. there is another method ive heard of but not tested myself is that if you send back anything within 3 days, it becomes void. Hi, just a quick question or three because I have received 5 parking tickets in the past few weeks for parking outside my home… 🙂 excellent hey! Thank you for your notices received today… list reference numbers… (NONE were sent RECORDED or given by hand so technically I received them all today?) follow the CONDITIONAL ACCEPTANCE stance and suggest that I will accept their contract according to my simple terms and conditions. Basically I will accept their notices and process them for payment, but I charge £500 per notice… all payments must be directed to myself? or my strawman? any late payments will incur heavy penalty fees payable immediately of course… Can I accept ANY kind of response or reply as said corporations EXPLICIT consent to undertake this agreement with myself or my person??? I have tried this before and scared a few companies so what do you guys think?? eager to hear your comments, thank you. Yeh, the No Contract Return to Sender system. You put it back in the envelope, put a sticker over the address window and write “No Contract Return to Sender” on it. I have already done that with a speeding PCN but didn’t think of the ones that they don’t post out. I think I will just put it in an envelope and post it to the address on the paperwork with the words “No Contract” on the PCN. I am trying to determine if members of my family can be used as signaturies on an Affadavit? Wife, brother, father etc. Anyone have any ideas? sounds like you’re moving outside the boundaries of our shared experience – please let us know if it goes well mate. I thought Rob’s post re: refused for cause did apply to penalty charge notices stuck to the windscreen of a car? Jamie’s post seems to say it doesn’t but Rob’s does. Does Rob’s advice to write ‘r4c, without dishonour, without prejudice, without recourse’ onto the pcn work if it was affixed to my windscreen (as opposed to posted to me)? Also, assuming it does, how quickly do they have to follow up with a Notice to Owner? If you want to pay the PCN I take it that they would not accept the money without you filling in the paperwork? What if you want to pay without filling it in stating that you are not prepared to incrimnate yourself then when refused, send in an Affidavit saying that you tried to pay but they would not accept it therefore there must not be any outstanding fine? I have never made a payment to the council in question before and I have no other tickets outstanding. They have sent me a Notice to Owner. I intend to repeat the process . Does anyone have any comments about this? Thanks and I understand that any comments you make mean no responsibility on your part – I take responsibility for my own actions. I have 7 PCNs dating back to 2008 all for parking outside my house without a residents permit (as it had expired and I hadn’t got around to renewing it). All 7 PCNs are now with the Bailiff and I get letter not addressed to me but in an unmarked envelope demanding £2800 and stating that it is a pre-removal notice. I have not responded to it or the council, but I had paid these bailiff in the past once to get my car back as they had towed it to the pound. From what I have read it seems that unpaid PCNs do not go towards any credit rating matters so I have been comfortable ignoring the demands and I don’t have that car any more and no plans to get one any time soon. What happens now? 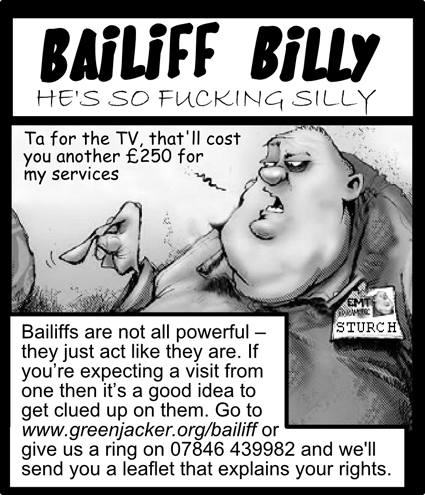 Do the bailiffs keep chasing it forever? can I serve them with R4C? chettiyar – your question is too difficult to answer, you need to re-write it and send again. I have 7 PCNs all of which have a Warrant of execution issued and are with the bailiffs. I have got pre-removal notices which are addressed to me, but in an unmarked envelope. I have so far not contacted the council or the bailiff in response to these. On the back of the notice, the PCN and their numbers are listed with charges next to each of them and totals £2800 approx £400 for each PCN. The PCNs are a result of me parking outside my house with an expired resident parking permit. I did want to point out that in the past I had paid these bailiff to get my car back for a PCN which is unrelated to any of the 7 PCNs I have mentioned. I wanted to know what my options are now? Can i let it ride untill the Baliff pass it back to the council and hopefully their charges drop off? R4C? Does Rob’s post re: refused for cause apply to penalty charge notices stuck to the windscreen of a car? Jamie’s post seems to say it doesn’t but Rob’s does. Does anyone know if Rob’s advice to write ‘r4c, without dishonour, without prejudice, without recourse’ onto the pcn works if it was affixed to my windscreen? Wow… lots of help here from the “experts”. Why do I have to contract with entities of a fictitious nature whatsoever? Why does ignoring something of no substance cause me undue grief? IF I as a sovereign do not have to contract by choice, why do I still have to contract to save myself from the consequences of ignoring their fictions? What I suggested previously, i.e. conditional acceptance and charging “admin fee’s for processing their fictions seems like a suitable course of action given the circumstances? How many times have you heard companies/corporations mention the need to charge admin fees for doing the job they are already being paid to do? Surely there is someone educated enough on this forum to offer advice and guidance with regard to my truth which is, I accept your bs but I charge for the inconvenience of it all. Or have I just not understood what I am supposed to be understanding? Thank you in advance for your kind and prompt attention to this matter, I appreciate any and all help. It seems after using the “No Contract – Return to Sender” process, you get a summons after about 4-5 months of returning the notices. If you use the same process with that, you get a letter from the DVLA saying you have been convicted and you must return your licence otherwise your driving privilages will be withdrawn. So what happens next if you use the same process? What can they do, if everyone does this? We cant all go to jail for sticking up for our rights and standing up to tyranny can they? jacob – it depends how determined you are with it all. but there is some truth in that when you send it back within 3 days it is difficult to process for them. you’re right, once enough people do it then we should see more victories. In reply to Jacob’s message, I sent my notice to provide drivers details back & heard nothing back for 3 months when a Police man turned up at the door and gave my mum a letter which was the original notice for drivers details (dated the original date). The envelope did not have a return address (oh how convenient). I typed up a notice of conditional acceptance asking for the corpus delicti, to prove that I am a member of society & a person. I have won a PCN in the past “contervention code 83” a few weeks ago we recieved another parking ticket, no problem I thought, I’ll just type up the old letter and send it off recorded. But looking on the new parking ticket they’ve issued I have to post it to a PO Box address!! Sneaky!! So I can’t send it recorded delivery… Any answers on how to deal with this slight problem? I can see where most may do a bit and suddenly get fear in mind. That’s all they try and get people with. Going to read more of your articles. They brill! I got a PCN from a mob called “Parking Enforcement” for overstaying in a Coop carpark by 20 minutes one evening. These guys are a scam. The notice is unenforcable for several reasons. 1. No contract as discussed elsewhere, 2. The PCN was sent to the Owner and not the driver (you are under no obligation to state who was driving. The letters then came at roughly monthly intervals, the fine increased and dire warnings of the effect on my credit rating were included. I ignored all correspondence from them and from their “collection agency” (probably the next desk along in the office). Note that noone can obtain a county court judgement against you without you being summonsed to answer to the court and only a CCJ can effect your credit rating. After about 4 months they gave up. To my certain knowledge they have never taken anyone to court as they know they cannot win. Hi guys, can anyone tell me, if during the lien proccess we use witnesses throughout, then at the end get the default notarised, or a final affidavit of truth notarised, according to english law an affidavit isnt really classed as such until witnessed by a notary, solicitor, etc, so does that mean that at the time I serve the lien with witnesses that the other party does not really have a duty to respond because its not considered a affidavit beacause it has not got a notary, etc witnessing it? i got a parking ticket stuck to my windscreen the other day by dudley council because my front end was over the parking line. I found this website, because its clearly a parking ticket for the sake of handing out a parking ticket. No court summons or invite. No magistrate just a a rubber stamping exercise by a county court judge in a bulk administrative exercise closed to the public from what I can tell in Northampton. Giving me the bird, saying FU Magana carta section 39 and the declaration of rights 1688/89 the bill of rights 1689…. No Remedy, no opportunity for rebuttal that I can see. Hi, Here is an update on my situation for those who are interested. I posted on this forum in February of this year, I am still awaiting a response to my queries? Anyone? I Sent a notice recorded delivery to both London Borough of Redbridge and EQUITA Bailiffs. My Notice arrived and was signed for by BENSTEAD from EQUITA. LBR are yet to receive my notice, due to Royal Mail being unable to deliver? EQUITA have ignored my offer to contract based upon my own simple terms and conditions, I noticed them that they would require my previous written consent in order to attend my address and of course there would be a surcharge for such privilege. They have ignored me, which I would refer to as dishonourable. I have sent no further notices and WILL NOT contact them again. They have sent me warrent of executions and final demands etc, they have even sent a courier boy on peddle bike to my home to deliver a notice suggesting that they had attended my address today with the intention to remove goods, but seeing as I were not there they went away. I changed the name of the registered keeper to my brother so that they could not attempt to steal my vehicle whilst I was unaware. HOWEVER, last week I was on my way to a friends house and an unmarked red van pulled in front of me and began reversing. A man jumped out and pointed at me, I said yes, how can I help you, he said are you the owner of the vehicle, I said yes, he said JOHN DOE? I said no who’s that, he said are you JOHN DOE? I said nah mate, dunno who you’re talking about. He asked how long I had owned the vehicle and I said about 6 months roughly, he then jumped back in his van and I drove off… I must note that their van was equipped with dual rear facing CCTV cameras and a smaller camera located lower-down towards the number plate, maybe connected to ANPR? David? do you have any advice? I will never agree to represent my straw-man unless of course it benefits me, so if I ignore any summons or unlawful “bills” what can they do? If the plod turn up at my door I will not agree to represent my fictitious character, I will be known as John… for arguments sake, What if they attempt to detain me? I am fully prepared to stand for myself, but it does kinda make it a lot easier when you have your fellow men behind you!! Get typing guys!! 🙂 and thank you sincerely for all of your help in advance.